I know many of you have already taken advantage of this great offer, but if you signed up and haven’t finished your recipes – or if you haven’t even signed up yet, this post is your FINAL reminder! Earn a $10 Amazon Gift Card and get involved in a wonderful new kosher cooking community, by joining CookKosher and uploading 10 recipes. This promotion ends on December 31st, 2011 – so your 10th recipe needs to be completed no later than Saturday night. Just click this link to start uploading your recipes. 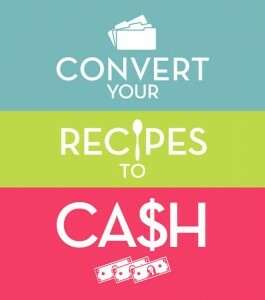 Once you have uploaded your 10th recipe, you will be qualified for your $10 gift card. Even if you’re already a CookKosher member, you are still eligible for the gift card. Simply CLICK THROUGH THIS LINK to start uploading your recipes. Gift cards will be sent out no later than the end of January – although so far, CookKosher has been great about sending them out within about a week of when you upload your last recipe. Have you earned your $10 Gift Card yet? How are you enjoying CookKosher? I earned my gift card. Yeah! but I’m not sure what to do with it. Mara, you said this past year that you saved up your amazon gift cards to get a big gift for your family. How did you do that? If I put them into my amazon account then they are automatically used for Subscribe and Save purchases. Do you just keep a list of the codes and then enter them when you want to purchase something? Right now we have $20 worth of Amazon gift card codes and I was thinking we could start saving towards something but need advice on how to do it. Sorry I didn’t respond right away. The Swagbucks codes I just save in my SB account – then apply them all at once when I’m ready to use them. For this, I’d probably apply it right away, then if I use it for groceries, let’s say, I’d transfer $10 from my groceries budget into my gift sink fund – so that I’d have it ready when I needed it. Does that make sense? Hope you’re saving for something fun! I just completed this task, but I was surprised how time consuming it was! I think all together it took more than 2 hours–not the greatest pay scale. Nonetheless, I did enjoy looking at the Cook Kosher site–and I probably wouldn’t have otherwise. Thanks for the tip, Mara.